Dedicated Intersect Hosting - Cheap and Easy! Welcome to Intersect Hosting Solutions! Stop trying to host your own game and allow one of the designers of Intersect host your game server for you! Players have bad ping/latency when you host from a residential network. You lose access to your files and server console if a friend hosts for you. Linux and Window VPSs are difficult to setup and manage. Hosting with us solves all of those problems and more! We manage the Linux server and make sure it's secure. We handle the port forwarding so you don't have to! We host out of an OVH Datacenter in Quebec, which means low ping/latency for North American and Eastern European players. We offer a stylish and user friendly control panel for you! Our control panel brings everything together! 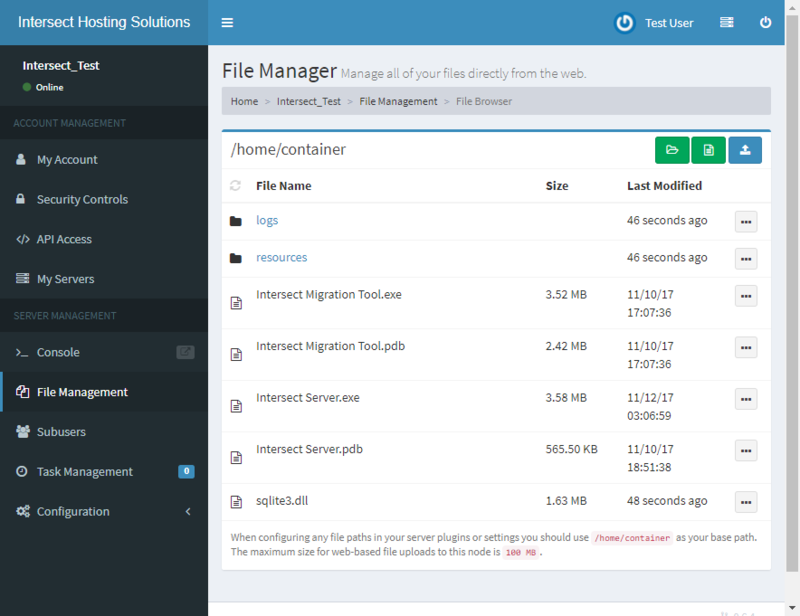 You can access your server console, files, and so much more! Scroll down for screenshots of what you'll get and feel free to ask any questions on our forum here!